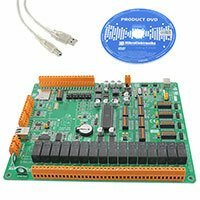 For Education & Maker Boards, Low cost, rapid prototyping and development with the latest range of embedded computers. Choose from a range of ready-made boards, many with wifi connectivity that act as a gateway device for IoT, reducing both the cost and complexity of designing your own solution from scratch. Whatever your use type or application, choose from a complete ecosystem of Single Board Computers, expansion boards and peripherals that encourage and enable your creative ideas to become a reality.